This Sunday night DJ Shaxx Presents an “all request” show. Vote now on-line to choose the songs! 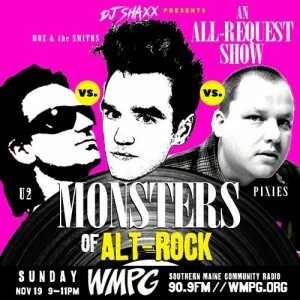 Tune in this Sunday, Nov. 19 from 9-11pm to DJ Shaxx Presents for an ALL-REQUEST Monsters of Alt-Rock special. 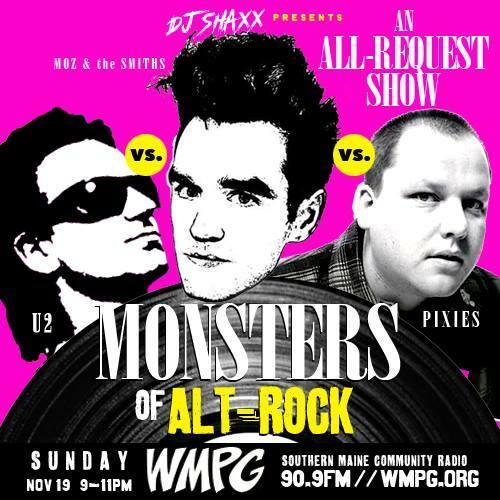 It’s a battle between alt-rock giants – Morrissey (The Smiths), U2 and the Pixies . The playlist will be voted on by listeners. Go to this fancy survey to collect the votes.